Feeling Crafty? Try these DIY crafts for your pet! Bailing Out Benji November 10, 2012 April 20, 2017 No Comments on Feeling Crafty? 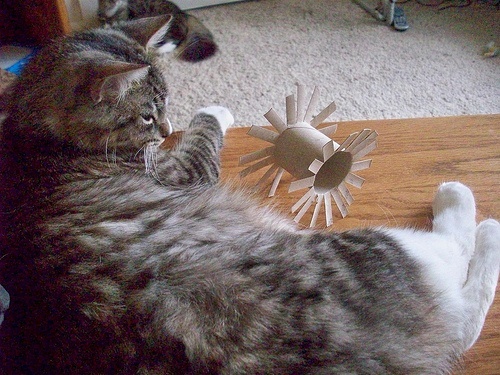 Try these DIY crafts for your pet! Whether you are a crafty person by nature or are just looking for some inexpensive ways to spoil your pet, here are some amazing ideas to get you started! If you are on Pinterest, feel free to follow Bailing Out Benji. Very easy DIY animal bed. Use any old wooden box, flip it over and add a pillow. 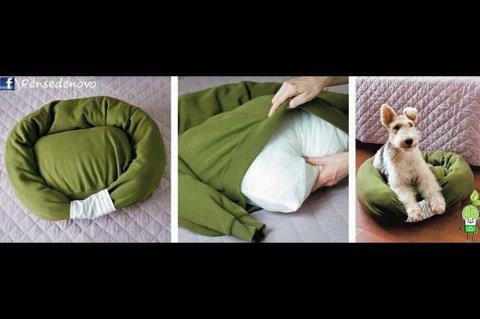 An easy and fun way to make a bed for your cat (or small dog). 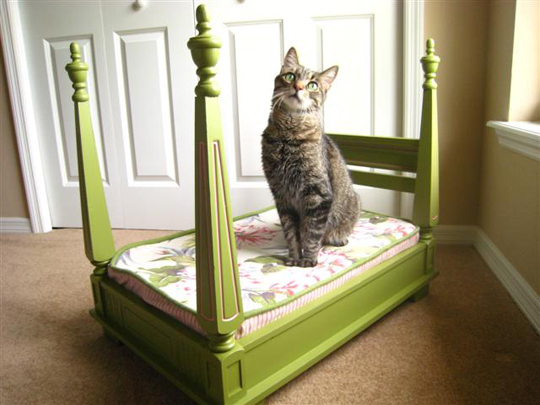 Paint/design an old end table, flip it over and add cushioning for your pet. To add a headboard (as shown) glue/screw in a flat wooden piece. 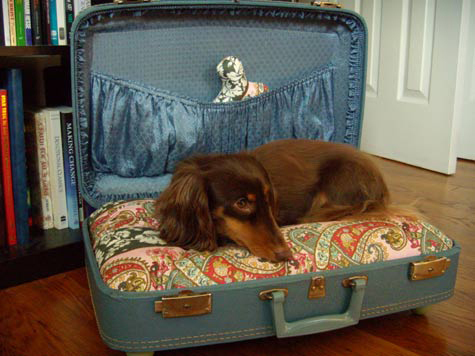 Take your old suitcase and turn it into a comfy animal bed. Febreeze the case first and then… Make sure the lid cannot close by either drilling holes in the top and bottom and adding a stap, or by buying dowels and gluing them to the inside (running top to bottom) to ensure the safety. add comfy pillows and feel free to spice it up! An easy way to help the homeless kitties in your area! Get a 21 gallon storage container, cut a whole in the front (so animals can climb through). To insulate it more, but a slightly smaller container and place inside. 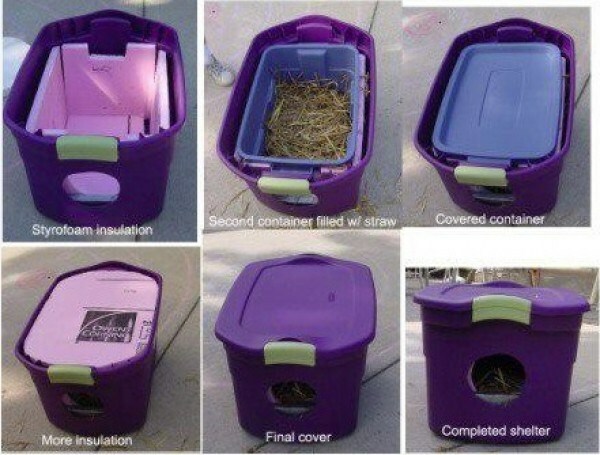 Fill inside with hay to keep the animals warm! What a fun idea!!! 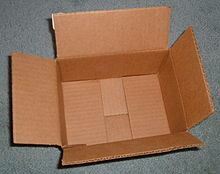 grab an old cardboard box and cut different sized holes around the top and sides. Fill the inside with different sized balls and seal the box up! This is an easy one. 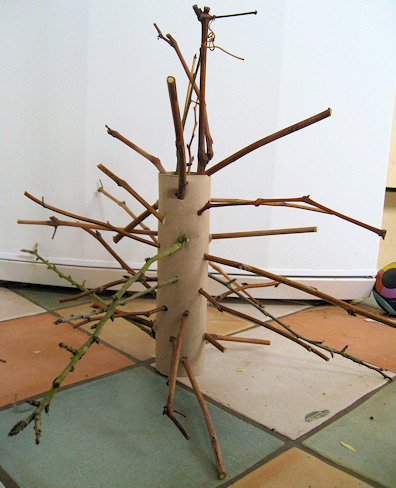 Grab an old paper towel roll and cut the ends. Then flare them out at the bottom. Watch your favorite kitty friend play for hours! For any rabbit (small animal) lovers out there! Take an old toilet paper roll, and fold one end in on itself. Flip it over and fill the middle with hay/ your pets favorite treats 🙂 Then fold that end in on itself! 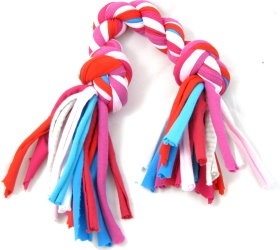 This is a fun and easy toy that will keep your rabbit/chinchilla/guinea pig occupied for hours! Grab an old toilet paper roll and poke holes all over it. Grab your pet’s favorite flavored chew sticks and place them randomly around the roll. Find old t-shirts or fabric. Cut the fabric into 20 pieces that measure approx 1 inch x 20 inch (2.5cm x 50cm) for a large dog. For smaller dogs reduce the length and quantity but not the 1 inch width. Lay your pieces together in 2 sections of 10. Twist the 2 sections together and tie a large knot at each end as shown in the picture. Your knot should be tight and secure. And, as always, the empty cardboard box… A favorite to any fiesty feline! I hope you have enjoyed these fun ideas! Don’t forget to “like” our facebook page to stay up to date on animal news! 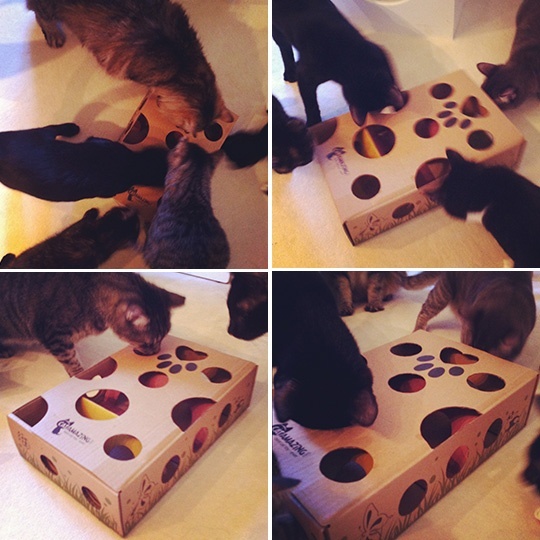 Use your old wine corks as fun cat toys! Thread the colorful string through the holes made by the corkscrew. Then knot at the ends. Be sure to watch your kitty friend play with this! 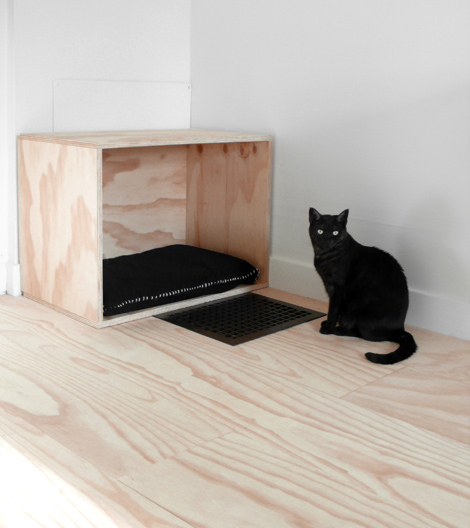 THESE ARE GREAT MINDI… AND THANKS FOR POSTING THE STORAGE CONTAINER FOR THE LESS FORTUNATE KITTIES OUTSIDE.